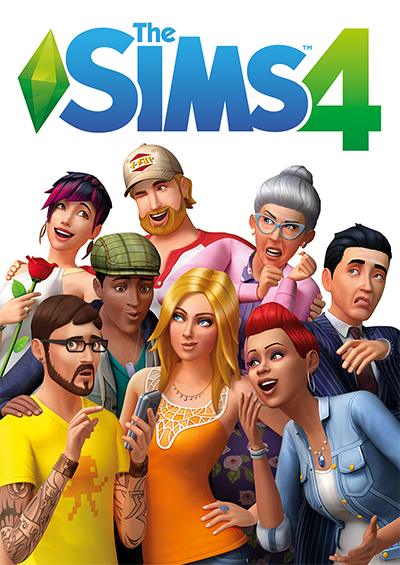 Since EA’s original release of The Sims in 2000 the game has sold more than 175 million copies of the series making it one of the most successful video game series in history. The Sims 4 boasts a whole range of new features ranging from creating Sims to building houses and exploring new worlds.With rich emotions and quirky personality traits the all new Sims are more expressive than ever. Storytelling with The Sims 4 is more powerful, more fun, and weirder than ever. New menus and layouts put life at your fingertips with everything you need to know conveniently available at all times. Take your Sims back and forth; live in one world, visit the gym in another, pursue relationships across multiple neighbourhoods, explore for collectibles and secret locations. The world is your oyster. A free update has also been announced, with EA signing a new licensing agreement with Disney.You can now dress your Sim as your favourite Star Wars character with an X-wing fighter, Princess Leia, Darth Vader and Yoda all available. In addition to Star Wars costumes, EA have also introduced Ghosts in the same update! This means when your Sim dies they can come back as a ghost and roam the house they once lived in. If a Sim dies of electrocution, for example, their ghost will float around giving mini shocks to living Sims, similarly, if they died in a fire their ghost will be seen with a smokey appearance. To have a chance of winning answer the following 2 simple questions as a comment below - and be sure to leave a method of contacting you if you win (a twitter, email or blog link, Nan's phone number, Butler's pager or entire DNA sequence). Please see terms and conditions below. Q1. What is the name of the language that Sims speak? Q2. If you could give your Sims any character trait, what would you choose? The giveaway will end at midnight 30th November 2014 - all valid entries will be given a number in turn and the winner chosen by random number generator. The Winner Has Been Drawn - entrant no. 78 - Leanne Perrett. Thank you to all of the entrants. This promotion is in no way sponsored, endorsed or administered by, or associated with Blogger. We hereby release Blogger of any liability. The giveaway will end at midnight 30th November 2014 after which no more entries will be accepted. The winner must have left a method of contact. The winner will be chosen by random number generator and contacted within 72 hours after the giveaway ends, if the winner does not respond within 7 days we reserve the right to choose another. The prize is one copy of The Sims 4 for PC. Prize to be supplied by EA as the Promoter, The Brick Castle is the host. In the unlikely instance that the prize becomes unavailable, EA reserve the right to substitute for something of equal or greater value. Multiple entries by one individual or automated entries may be disqualified. Failing to answer the mandatory questions correctly will invalidate your entry. <br /> If you have any additional questions - feel free to send an email to thebrickcastle@gmail.com. UK entrants only. Q.2. - I'd give them an entrepreneur trait - make me money without any prompting! Q2 Fearless, my character would try anything once, whether sensible or not! 2. I'd give my character a theatrical trait! Atleast he'd make me laugh! Q.2 - positive and determined! Q2. I would give them a romantic hero trait, so they act like Disney heros, searching out love and being resuing there loves - even if not needed! teehee!! Q2. I would give my sim an artistic trait because I think it would be fun. Q2. Would have to give an entrepreneur trait - means that they won't have any money worries! b) Insane - always makes things more entertaining! Q2- I would make them loopy :) Always making people laugh and have fun. B. Evil pranker - fun and mean tricks on the other sims hehe! b) I'd make them have phobias. Spiders? A new dynamic? Q2. I'd make my Sim lucky, as I could do with some of it myself!! q2 I would give them proper hormonal mood swings. I would make mine be evil! The ability to transform into another character in an instant, or perhaps to fly!! I would give them a romantic trait, I love watching romance blossom and having them get married! Trait would have to be a night owl like me... never in bed before 3am! Question 2: Redneck, Tomboy, or Pessimist. Q2. I'd make my Sim outgoing, energetic and friendly, I find that makes the tasks easier!! Q2 Naughtiness! Lots of practical jokes and a person who cheers all the other Sims up! and I would choose the trait Lucky! Q2; compassion and awareness of others, so they are not blind to others hurting or there pain or desperation, and so that they have awareness of other peoples need for there love and kindness...if all people did this the world would be a much nicer place. Q2: Sassy... Who doesn't want to be sassy?? I would give them the family orientated trait because I love raising the Sim children! Q2) I would give my sim the trait of being able to make it to bed without passing out! Ideally it would mean they ran to the bed when they were super tired, instead of falling asleep every step towards the comfy bed I provide them with. You can contact me on email, rowbowk@gmail.com , or twitter @rowbowk . If they aren't working my butler, Jeffery, is very good if you just ring a little hand bell. HeHe! My answers: q1, Simlish & q2, X-ray vision would be good. Q2 Funny/good sense of humor! 2. Sassy because it would sure make things interesting! It would have to be multitasking because they are sooo slow! I would give my Sim the trait Genius so they could learn things quicker. and I always give mine family orientated!